Computerised Rockwell Hardness Testing-Machine is motorized for automatic operation cycle. It is effective in testing metal and alloy of all sorts. Computerised Rockwell Hardness Testing-Machine comprises of a Test Force selection in its software or Digital Panel. It consists of LED bar indicator, to set position for easy operation. It provides with large size scale display for easy reading. It is sensitive and accurate but easy to operate. 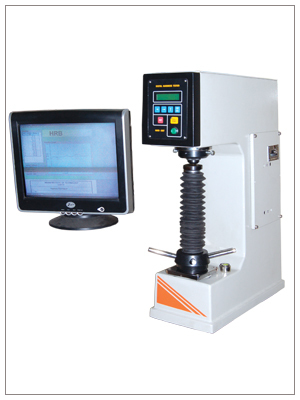 Computerised Rockwell Hardness Testing-Machine is used for testing the hardness of the metal and alloy of all kinds hard or soft and of all shapes, whether round, flat or irregular in shape.